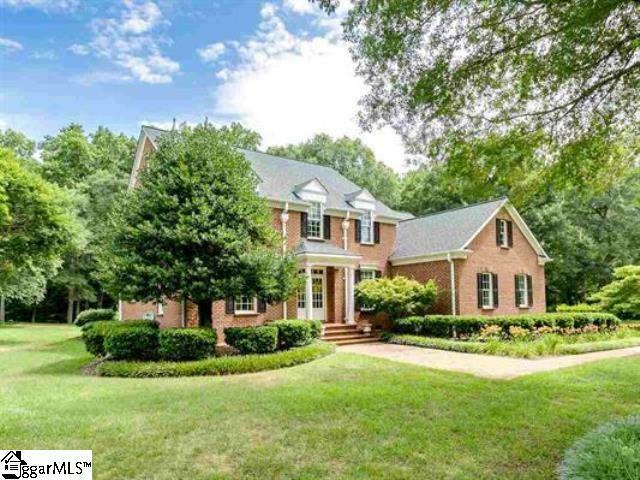 This gorgeous Custom-Built All Brick home will truly warm your heart with its Natural light and Open feel throughout! This home is nestled on 6 Acres, with a meandering Creek and a small Pond providing Beautiful Views from the Sunroom and a peaceful setting! The spring fed pump Irrigates the front and back yard for FREE! How nice! 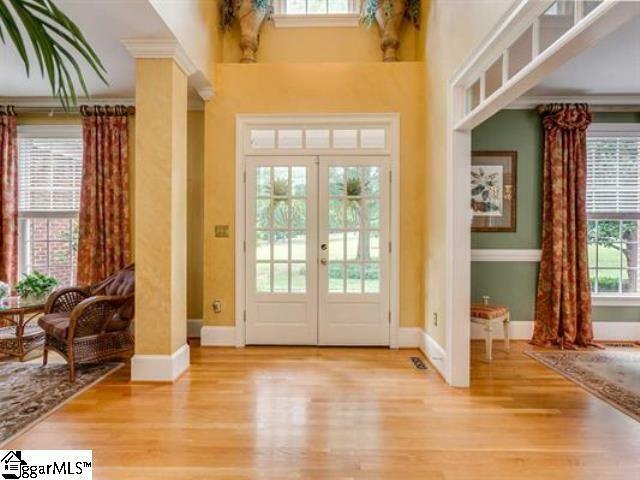 Lots of transom windows and doors throughout allow for wonderful views and tons of light from mother nature. Cathedral ceilings and an attractive fireplace with natural stone detail make the living room spacious and inviting. The Large kitchen boasts new double ovens, granite counter tops, an island, built-in cabinet front refrigerator and an eat in breakfast area. The large master suite includes a spacious bathroom, closet space, and ample cabinets for storage. Upstairs, the bedrooms are complete with recessed lighting and the entire floor has fresh new carpet. There is also a large bonus room or office area, as well as an abundance of carpeted attic space for storage! Aside from the over sized 2 car garage, there is even more storage or flexible area located outside in the 2-story detached All Brick garage with roll up door. The home is in immaculate condition also with a new roof in 2011! Located in desirable District 2 school zone, this home has all you need. Come rest on the newer finished stamped patio out back and get a taste of the good life in this private oasis! Horses allowed! 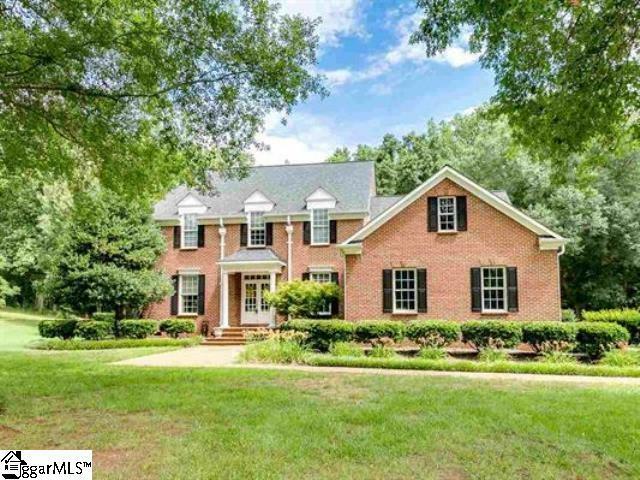 This home is 15 minute or less access to East Side of Spartanburg, Downtown Spartanburg, Boiling Springs, Inman, Campobello, Landrum, I-26, Restaurants, and Shopping. It is a hop, skip and a jump from I-85! Also, located just 25 minutes from the National Equestrian Center in Tryon, NC. 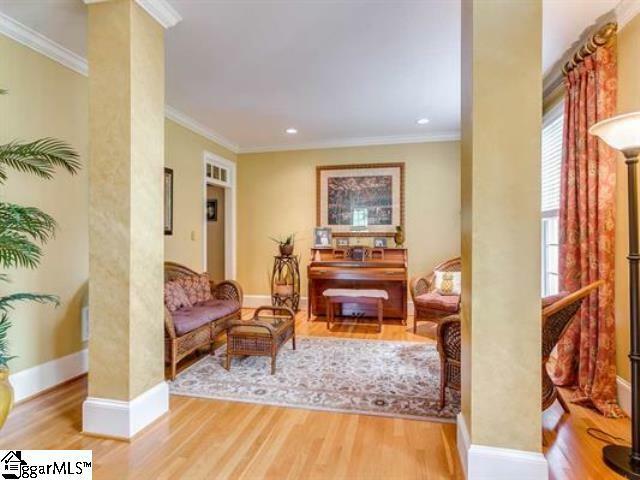 Listing provided courtesy of Claudia Sims of Century 21 Blackwell & Co.